We never pack snorkel gear when we travel to Hawaii because it’s so readily available from resorts and tour companies. As a wise Go Visit Hawaii reader, you know that it’s important to pack light. You also know what to pack, but we’ve not yet discussed what not to pack. Lighten your load and leave these items at home. Unless you want to stick out like a sore thumb, leave all evening gowns, tuxedos, and anything with a sequin on it at home. In Hawaii, casual attire rules. So, opt for comfortable breathable fabrics like linens and cottons. For evening wear, I normally bring a sundress. Even shorts and capri pants with a nice top will work fine in many Hawaii restaurants. Andy typically wears shorts and a Hawaiian (Aloha) print shirts. There are very, very few restaurants in Hawaii that require a jacket. If you have dress code concerns, contact the hotel or restaurant directly for advice before you start packing. In Hawaii, you’ll want to wear comfortable shoes and be ready for an impromptu walk on the beach at any moment. I normally pack one pair of flip flops, a pair of hiking shoes for hitting the trails, and a nice, but comfortable pair of sandals that will go with my sundress. A funny story from a friend of mine who is quite the “Fashion Queen.” While visiting Kauai, she wore her new, glittery, and very expensive shoes to dinner at an upscale restaurant. They had to park ”down the road a piece” and she was quite upset that some chickens were pecking at the baubles on her shoes during her walk to the restaurant Some people have NO sense of humor! Thanks, Jan, for that laugh and reminder to leave the fancy shoes at home! If you own specialized snorkel gear that you love and have the room in your luggage, bring it if you like. Otherwise, you don’t need to bring snorkel gear. Your resort may provide free or rental use of snorkel gear so check with them. 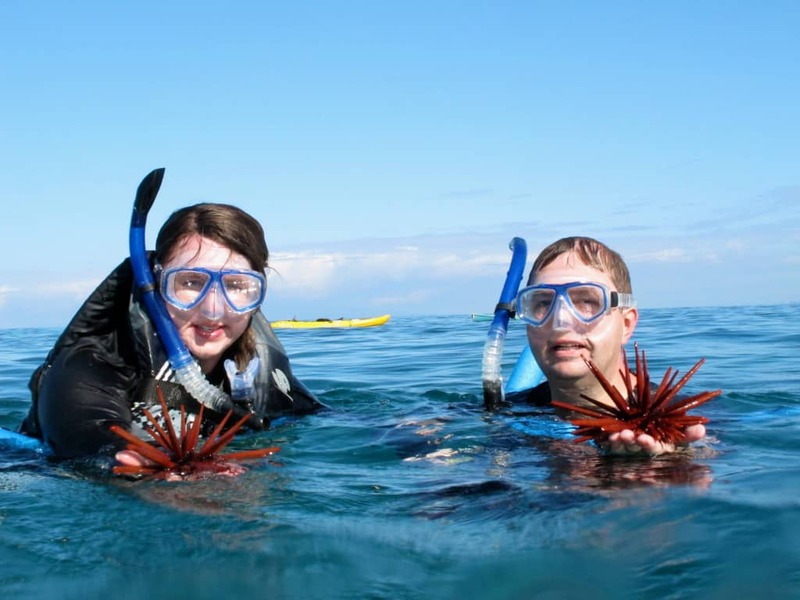 If you go on any organized snorkeling tour, the tour operator will provide your snorkel gear and buoyancy equipment. Alternatively, you can easily rent snorkel gear on throughout Hawaii. Most tour companies and rental places even offer prescription masks. Hawaii is close to the equator which makes the sun’s rays stronger than what you may be used to back home. The last thing you want to do on vacation is to sport a bright red sunburn. Ouch! I recommend that you use at least SPF 30 to start and if you really want to work on a tan, work your way down to SPF 15 or 8 at the very least. See my tips for avoiding sunburn in Hawaii. I used SPF 45 to 70 on my face and wore a hat for a two-week stay on the Big Island. When I got home, friends were commenting that my face looked nicely tanned. So, you’ll still get sun even with strong sun block. Okay, I know there’s no such thing as snake repellant, but I just wanted to emphasize that Hawaii is snake-free. Hurrah! What additional recommendations do you have for what not to pack? Please share your thoughts in the comments. Don’t pack beach towels. You’ll want to pick up a souvenir one and/or your accommodations likely has beach towels available for your use! If you’re checking luggage, think about packing your stuff in a strong cooler that you’d like to keep in the trunk of your rental car for those days on the beach. Coolers in Hawaii are over-priced because everyone who visits is likely to purchase one! Besides, those, when duct taped, are among the strongest luggage. Our most outrageous packing experience: We brought home the kitchen sink. Well it was a really nice sink. We were visiting our daughter, who was living on Cozumel at the time. At the open air market we found, you guessed it, the perfect sink for our planned outdoor cooking area. Hi David – I’m making a mental not not to travel with spaghetti sauce. 🙂 That actually reminds me that you shouldn’t travel to Hawaii with fresh fruits, vegetables or plants because you’ll have to declare them to the agricultural inspectors. There’s no need to delay your vacation by bringing along an apple. Bathing suits & Hawaiian Shirts are the first things that come to mind because almost everyone buys that stuff while they are here. We brought a few bottles of wine to Hawaii figuring we’d save a few bucks (plus it was wine we likely couldn’t get in Hawaii), those worked out well. @ jim – I’m glad you didn’t have any problems bringing the wine. my dad and i are going to oahu this summer and we have no idea what to expect. the bad part is we are going right around the time south korea plans on launching a missle! We went to Oahu in ’08. I brought a nice dress & my husband a sport coat for our ‘fancy’ supper at Turtle Bay Resort’s 21 Degrees North….do NOT dress up. We felt very out of place when everyone else was in shorts & flip-flops….Even though the restaurant specified Resort Wear as the dress code. North Shore Oahu Wednesday. Great tips and checklist. Aloha! Have fun Hp! We really enjoyed Turtle Bay. Make sure & check out Hang 10 and say hi to Dennis! most important, leave your urge to HONK your horn in the car in front of you at home, you will get stinkeye and possibly beef.. leave those mainland stress bad manners on the mainland. I am a part time resident and frequent traveler, great article, could add tho if you plan to visit the Volcano, or observatories.. it snows up there .. no really, and anything at high altitude aka the 9k feet visitor center on the Big Island, can get degrees of 30-40 degrees.. in the summer. Enjoy the island, respect the inhabitants of the water, don’t try to ride the honu, or get that super cool pic of the lava, or sealife, while risking your safety, remember, whales, dolphins, turtles, are all protected, and you need to keep your distance. Zoom your cameras people ! ALOHA ! I did bring my own mask and snorkel on a recent trip and was glad I did. The masks and snorkels provided by the boat tour were not of that good quality, I thought. My husband also uses a prescription mask so he can see beyond his nose! It actually doesn’t take up much room in a suitcase if you put small soft items in the mask. Fins, definitely don’t take! No reason to leave a good mask at home, I’d say. And so true about the causal fashions, anywhere. I loved it! As mentioned above, no need for fancy clothes…BUT, please refrain from wearing your teeny weeny polka dot bikini anywhere else but the beach or at the hotel pool. We live in a village that is nowhere near a resort, but it has one of the most popular natural scenic places to visit…a waterfall. I have seen women, both young and of a certain age, wearing skimpy bathing suits as they strolled through our village on their way to or from the waterfall. Just because you’re on an island does not mean that you should wear a bathing suit everywhere you go. I woud disagree with leaving the mask/snorkel at home – if you’ve been snorkeling a lot you’ve probably seen how those things are cleaned, and you’ll for sure want to bring your own. A good-quality mask and snorkel that’s only yours doesn’t cost much, doesn’t take up a ton of luggage space, and has a much lower “ick factor” than a communal set. I would suggest a power board and 1 adapted if travelling from another country. Eg. Australia. I do this where ever I travel overseas and it is a life saver as I find most hotel rooms allow only 1 or 2 power sockets, so I power socket adapter plus a four or six plug power board lets me charge up phones cameras, laptops etc all at once.. Also if doing a lot of shopping pack some vacuum sealed bags. House keeping usually let you borrow a vacuum to seal the bag and this leaves you heaps more space in your luggage.